I love moscatos because they are perfect for sipping on, and if you having spicy barbeque, or other spicy food this can be a nice beverage to serve. The moscatos from Gallo are perfect, they aren’t too sweet that they over power your food, but when eating something with a little bit of it, they are just right. You can also make cocktails with them. Yes, you can make wine cocktails. I have made many sangrias before, but for this wine I wanted to make a more adult pina colada. Pina coladas when made well with fresh pineapple juice, coconut flavor, and ice are amazing. 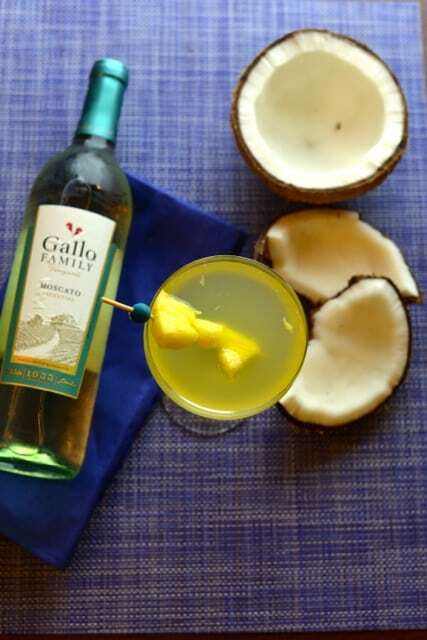 For this cocktail I am using fresh coconut water, and pineapple juice along with the Gallo Moscato wine. Coconut water is all of the rage, and it isn’t hard to crack a coconut and harvest the fresh coconut water. You can use canned pineapple juice, or juice up some pineapple, your choice. I love it when I can bring out my long forgotten juicer. What I like about using the coconut water is you get to save on calories, and you don’t end up with a drink that is too sweet. The fresh pineapple juice makes this drink taste wonderful. The moscato wine still comes out in this drink. Best of all you can stretch this one out a bit if you want to drink something a little lighter. If you like you could throw this into a blender and enjoy the cocktail mixed up. Or you can put this in a shaker and enjoy immediately your choice. I don’t know if you know this but May 9th is National Moscato Day! Moscato Day is an annual holiday dedicated to enjoying this deliciously sweet wine, and you can enjoy it so many ways. You can enjoy it chilled straight of out of a bottle to sip on, you can enjoy it with a meal, or you can even place this fun wine into a cocktail! Pina Colada Moscato Wine Cocktail is a great wine spritzer to serve anytime. Start with all ingredients chilled. Pour wine, pineapple juice, and coconut water into a shaker, add ice if desired and shake. Pour wine cocktails into a glass. Serve with pineapple chunks if desired.You can add additional pineapple juice and coconut water if desired. 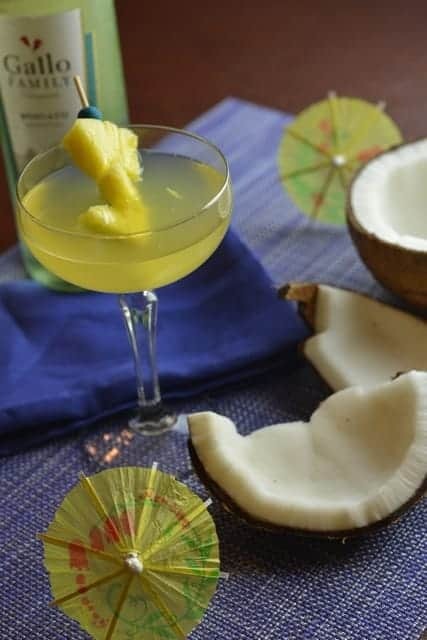 Adding more pineapple juice and coconut water will make for a lighter cocktail. 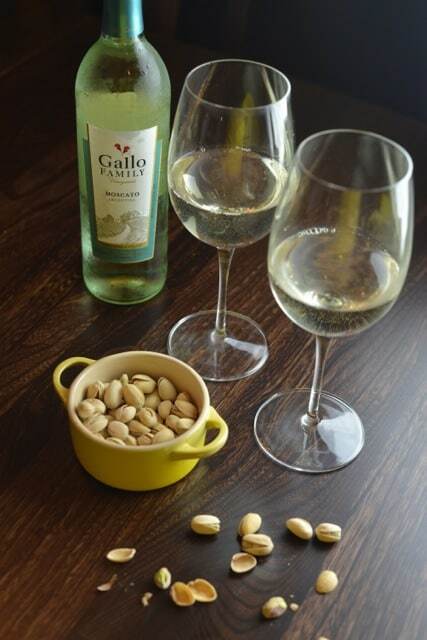 What is your favorite way to enjoy Moscato wine?